In most injury or accident lawsuits medical records are essential for winning the case. However, the retrieval of these medical records are time consuming and costly for attorneys and their offices. 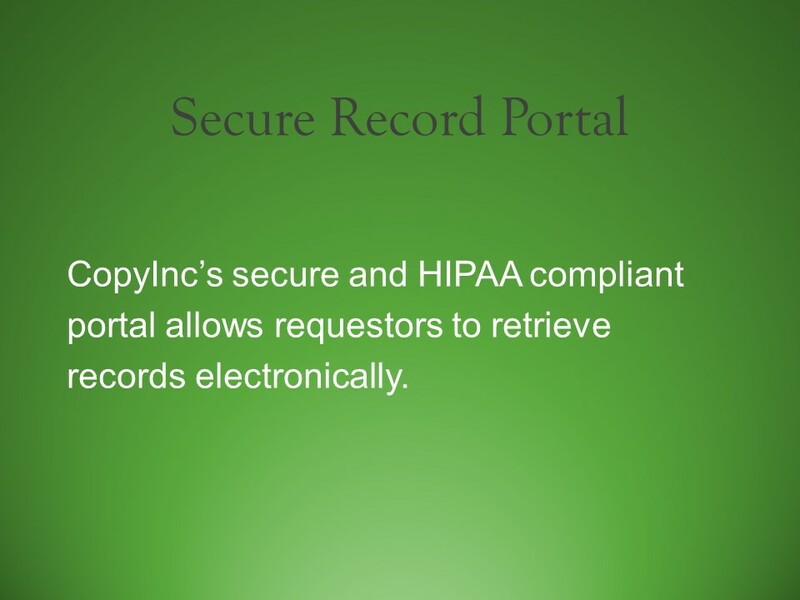 CopyInc will not only save your firm money on retrieving medical records but our services will also allow your office more time to work on legal cases. We are able to perform these tasks more cost efficiently than other retrieval companies since over the years CopyInc has established a relationship with physicians and medical facilities across the county. CopyInc’s employees are educated and very experience in the healthcare field. 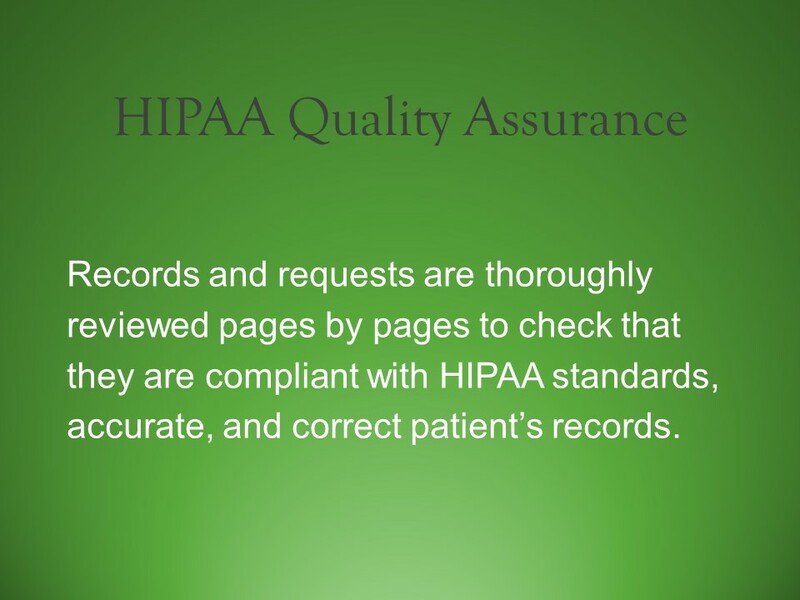 Each individual is trained and certified on HIPAA HITECH Security and HIPAA Privacy and Security. CopyInc also utilize a large network of field representatives over 50 states to retrieve medical and any other type of records. Allow CopyInc to complete your request and obtain your records today. Standard CopyInc Document Retrieval Services (CDRS) is designed to assist plaintiff attorneys with obtaining their clients records. 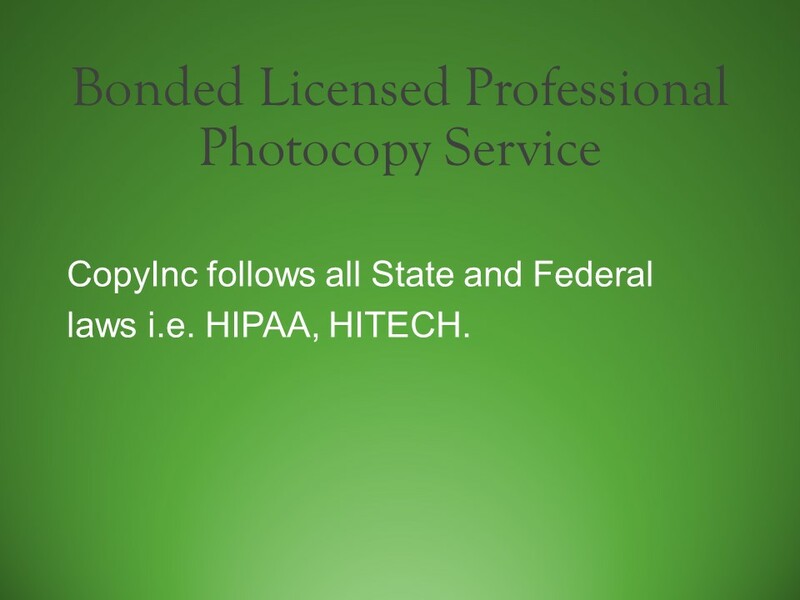 CopyInc retrieves many different types of records such as: medical, billing, X-Ray films, employment, and many more. Whether a firm needs a client’s records from one location or many locations we can help with that. Our Standard CDRS offers three different retrieval options; basic, rush, or same day. First our basic retrieval option is created for cases in which records are not needed on an urgent basis. This option has a turnaround time of 10-20 business days. Next our rush retrieval option is made for cases that records are needed more quickly; our turnaround time for this option is 5 business days. Lastly our same day retrieval option is designed for records retrieval that is extremely time sensitive. This option has a turnaround time of 24 hours. Each retrieval option prices is based off of the urgency of the request. No matter which option you firm chooses records can be obtained on paper, CD, or even electronically through our secure record portal. Flat Rate CDRS is a prepaid discounted rate service to assist your firm with the retrieval of your client’s records. Our Flat Rate Service offers the same great CopyInc service as our Standard CDRS at a fraction of the cost. This services is designed for orders with a file size up to 250 pages, for one location, and for one document type. Orders that exceed 250 pages are subject the additional per pages charge for the remaining pages. If multiple locations or multiple document types are needed another order will be required. All of CopyInc’s Flat Rate CDRS are retrieved using our basic retrieval option, which is a turnaround time of 10-20 business days. With this service your firm can still choose to receive the records on paper, CD, or electronically using our secure records portal.